Hey Folks! How’s it going? 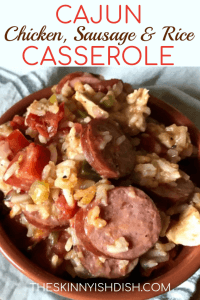 I’ve got this Cajun Chicken, Sausage, and Rice casserole to share with you today and it’s really, really, really good. It all started in February of this year when I got a hankering for some good ol Jambalaya. There was only one problem…. 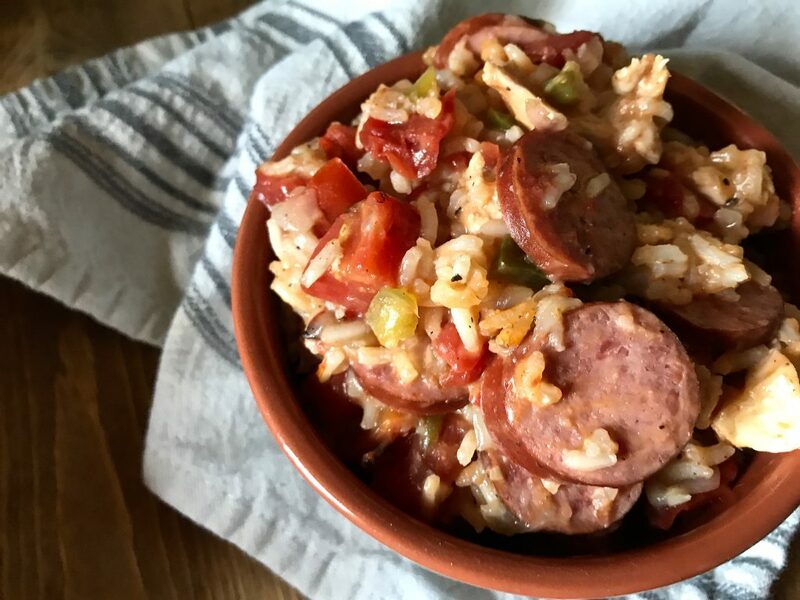 Here in Small Town, USA… I can’t really go out and grab bowl of Jambalaya. I decided to make my own version of it by reading a few different recipes and doing my own thing. It came out… okay. I don’t know. It was good, but it wasn’t my favorite thing. I decided to put the recipe on the back burner after making it twice and not being super satisfied. I came back to it a few weeks ago and decided to completely do my own thing because that’s what I do best! I decided to basically go back to the basics of what I learned from my mom, her Chicken and Rice recipe, and go from there. 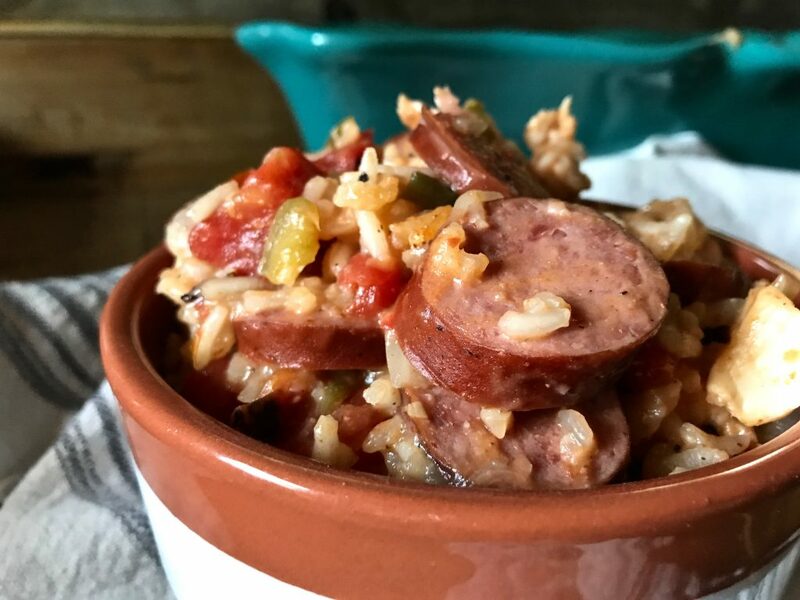 I invited all the Jambalaya ingredients to my party, but totally took a a left turn when it came to the traditional way of doing anything having to do with Jambalaya. So in conclusion, Cajun Chicken, Sausage, and Rice was born and I’m so happy it was because I honestly want to eat this every other day for the rest of my life. 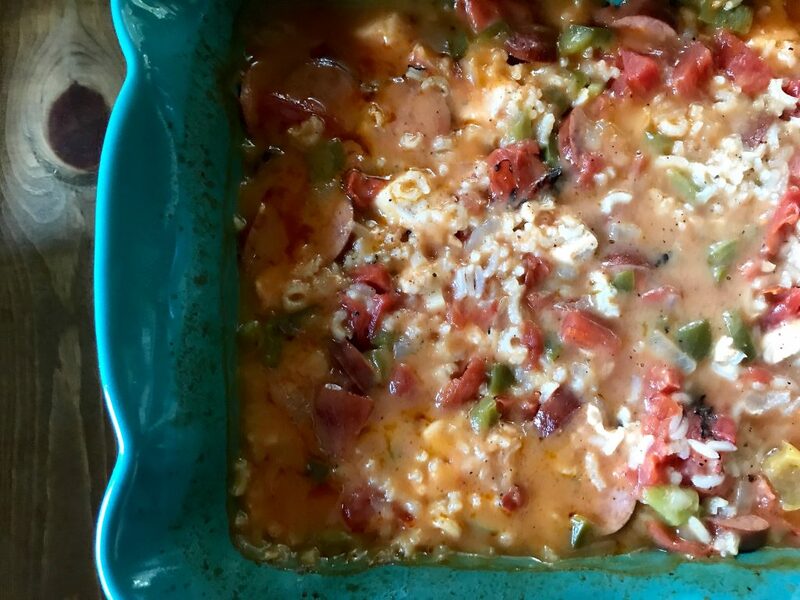 It has a creamy comforting casserole feel, but with a kick of bold and spicy flavor. And, as always it’s lightened up just enough! With just a few steps this dish comes together easily and deliciously! Lets get in the kitchen! 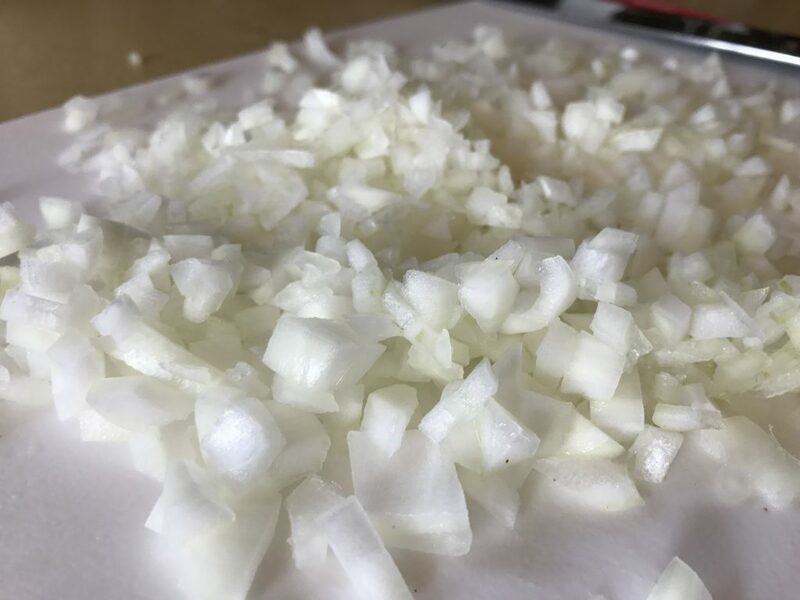 Chop up a medium onion into small pieces. 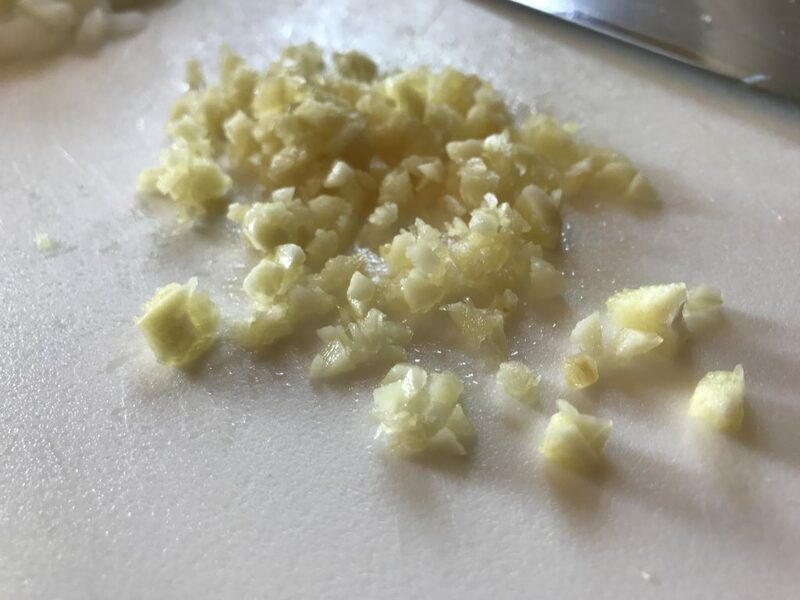 Mince a few cloves of garlic up! aaaand dice up a medium green bell pepper. Throw all of that into a pipin’ hot skillet with a little veggie oil and saute until onions and peppers are soft. 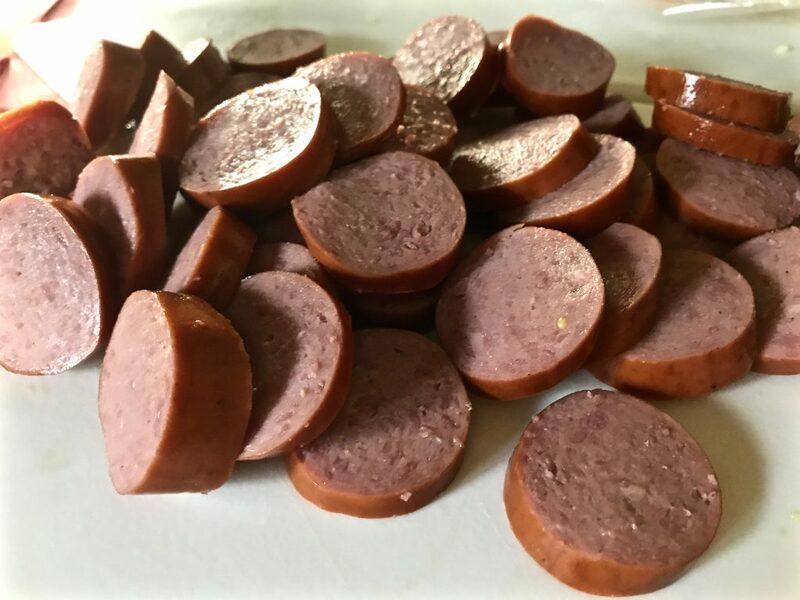 Dice up some Turkey Smoked Sausage! This is what it looks like just incase you were wondering. I really love this sausage for a lot of different meals including plain ol’ Smoked Sausage Sandwiches. I grew up on those. Just in case this is another “I live in Illinois” thing …Smoked Sausage Sandwiches are quite literally exactly what they sound like. A piece of smoked sausage that has been grilled, stuffed in a bakery roll, and topped off with some ketchup and mustard. It’s so easy and it’s so delicious. 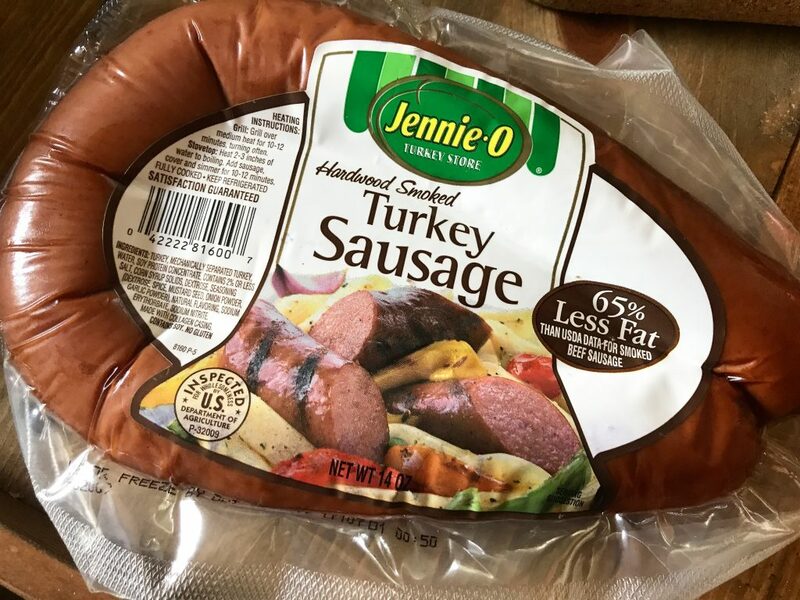 We have them a lot around these parts and I almost always use Jennie O Turkey Smoked Sausage for a healthier alternative! 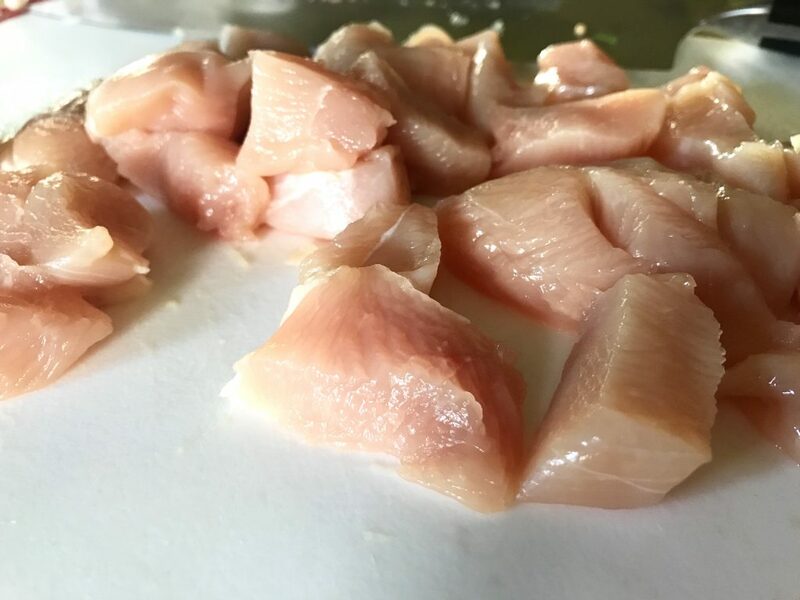 Okay now, cut up a large chicken breast into smallish pieces. Not too big, not too small. Smallish. Now in a 3 quart or 9×13 casserole dish. Spray it well with cooking spray then add all the goodies. Really in no particular order. 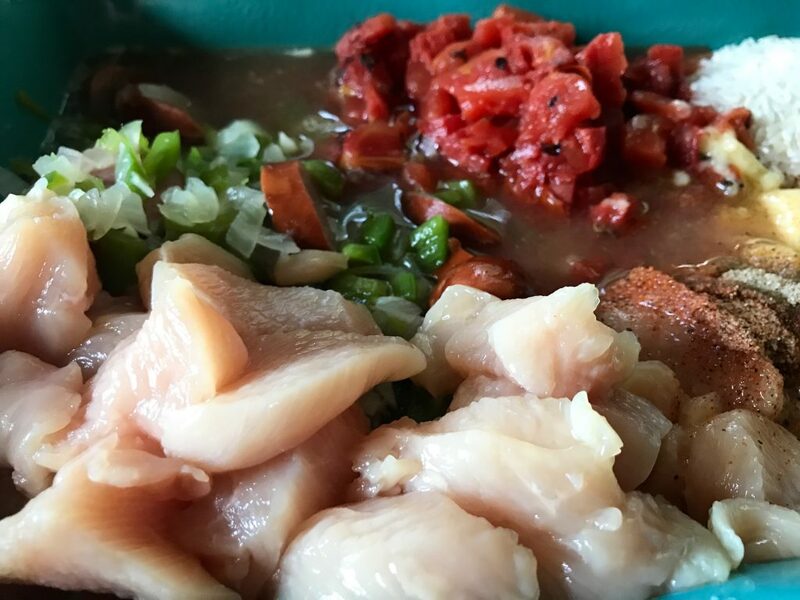 You’ll need to add the chicken, turkey smoked sausage, sautéed green peppers, onion, and garlic, cajun seasoning, celery salt, cream of chicken soup, diced tomatoes, and rice. I know it might seem like a really long list of ingredients, but it’s worth it. I promise. Don’t forget to add the water! Like I almost did. You can also use chicken broth, I just decided to use water since there’s enough flavor going on in this casserole and it’s one less ingredient to add to the party. Mix it all up real good! It doesn’t look all that appetizing at this point, I know that. I’m sorry. 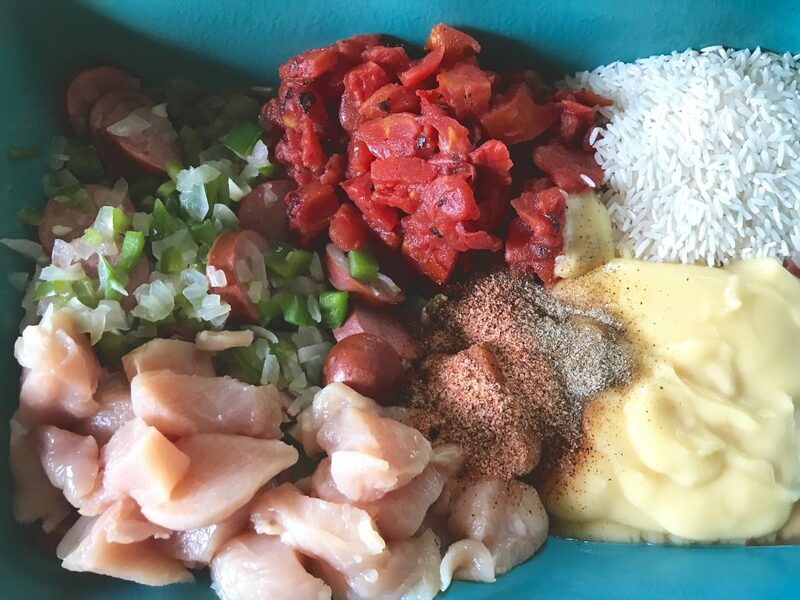 I know there’s a lot of different Cajun Seasonings out there. This is the one I use! I use it for tons of stuff. I actually LOVE sprinkling it on hardboiled eggs for a quick snack. You can also make your own up. Just use your favorite one and it’ll be good stuff! 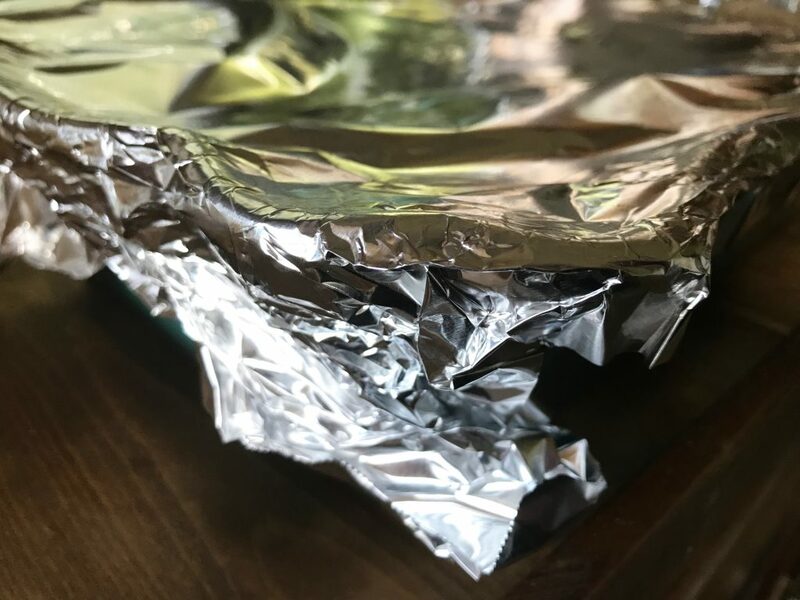 Please cover your casserole dish tightly with aluminum foil! P.S. If your casserole dish comes with a cover.. It probably won’t work. Rice can be kind of finicky and we don’t want to anger it. It likes the foil. I don’t make this stuff up. Then place that sucker in a preheated 375 degree oven for an hour. It’ll come outa the oven pipin’ hot and lookin’ a lil somethin’ like this. Fluff it up with a fork and give it a quick mix. Also, PSA: Your house is going to smell absolutely fantastic! And your taste buds are going to do jumping jacks and y’all might lose your minds! I really don’t mean to boss ya around, but this is of utmost importance… make this today. and then let me know how it goes, because I really, REALLY, really think you’ll love it. 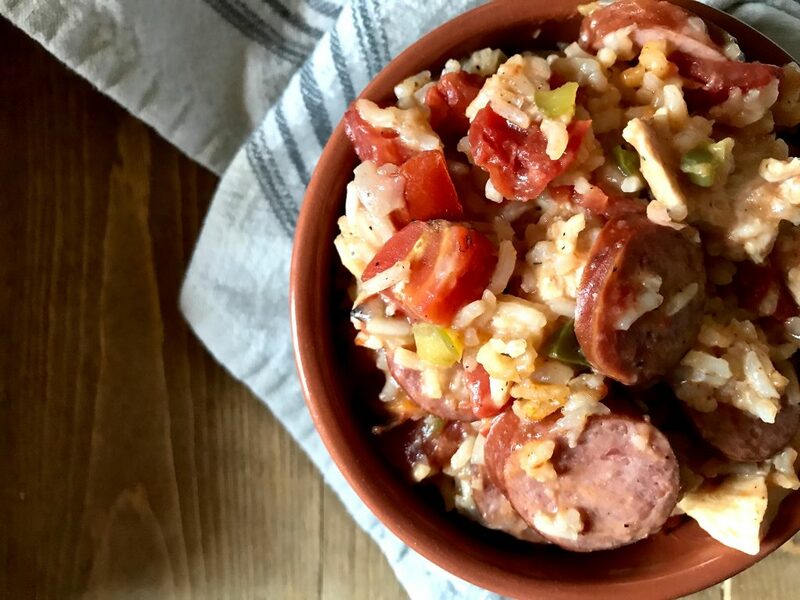 A creamy, cajun-y, spicy comforting casserole featuring sausage, chicken, and rice. Preheat oven to 375 degrees. In a hot skillet add vegetable oil, green peppers, onions, and garlic. Sauté until softened. 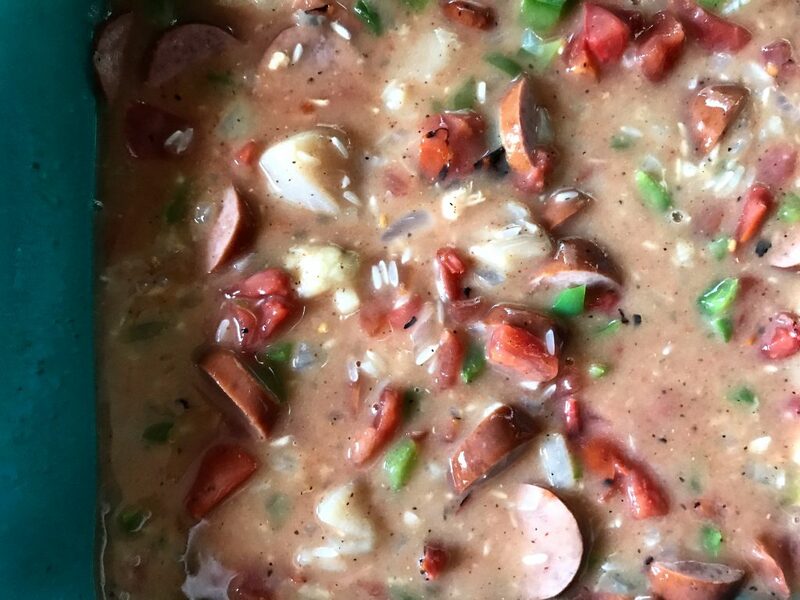 In a 9x13 or 3 quart casserole dish generously spray with cooking spray and then add cooked peppers, onions, and garlic, turkey sausage rounds, raw chicken breast, rice, cream of chicken soup, diced tomatoes, cajun seasoning, celery salt, and water. Mix together well. 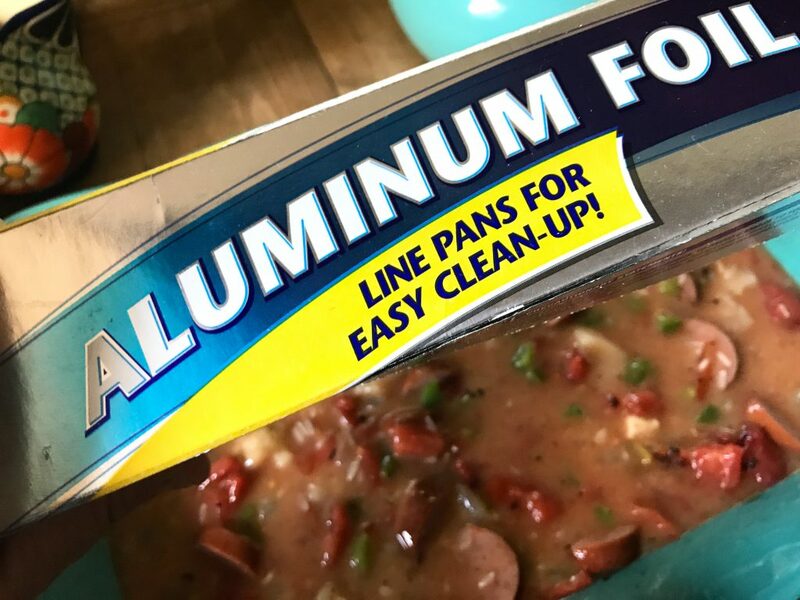 Cover casserole dish tightly with aluminum foil and place into preheated oven for one hour or until rice is cooked. Serving Size: 1 and 1/4 cup. Awesome but the rice is NEVER done!!!! I am thinking of par-cooking my rice ahead of time for all of your chicken/rice casseroles because it seems to always be undercooked by the end of the baking time. I use foil AND lid….but as you have mentioned, rice is a jerk!! I’m so happy you enjoy that! That is so weird because it’s only happened to me once with all my rice dishes and they get made a lot around here! I feel like I should take another look in depth with the recipe because it does seem like a handful of people have this problem from time to time. Thank you so much for the feedback and I’m happy you enjoyed! Can you make this in a crock pot?? Hey there! I’m sure you can, but I’ve never done it that way so I don’t have much instruction on how to do so. Do you think this would freeze well? If so, how would you cook it? Sorry. I haven’t frozen this one before so I can’t say for sure how it would go! I made this last night, and we all loved it! It was so simple to put together (particularly since i bought pre-chopped onions and peppers!). I will be adding this to my meal options on the regular! Thanks so much for a hearty low point dinner option! You’re very welcome- I’m so happy you enjoyed Jan! Thanks for stopping back by to let me know. I am going to make this tonight, so excited to try it! I’m wondering if I can use Thai jasmine long grain rice. I already have it on hand. I don’t have much experience cooking with rice so I thought I would ask. Thanks in advance! I am pretty sure that jasmine rice requires more liquid to cook it. I would add an extra 3/4 cup of chicken broth or water. I hope that helps! 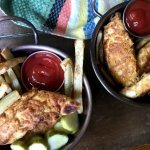 Hi, someone shared this recipe on a WW Facebook group. 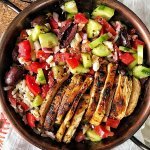 I am wondering if cauliflower rice could be used instead of regular rice and how that would change the cooking time or throwing it together before putting it in the oven? It sounds so incredible but I’m trying not to use regular rice much anymore. Hi Mindy! I’m sure it would taste just fine with cauliflower right, but since I haven’t tried it. I can’t say for sure. I also can’t say the cooking time for. It definitely wouldn’t need an hour, but the chicken does still need to fully cook. If I were personally trying it out with the cauliflower right I would start by checking it in the oven at 25 minutes and see if the chicken is done. I hope that helps a little. Let me know if you do make this with the cauliflower and how it turns out! I’ll probably try it myself someday soon. This is the bomb-diggity! A keeper fo-sho! Thanks! 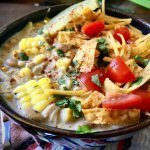 Has anyone ever tried this in an Instant Pot? Cooking this tonight but converted the steps so it would *hopefully* work in the pressure cooker! So excited to see how this turns out. 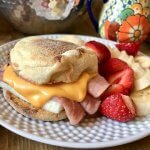 Thanks – I love your recipes! Worked out so well in the pressure cooker!! Thanks for sharing! 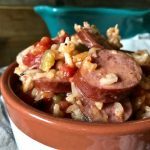 I’m from New Orleans, but I have a similar “fake Jambalaya” type recipe that I make in my Dutch oven because it’s so much easier than the traditional recipe, and still tastes so delicious! I’m excited to try this version out too If you live near a Trader Joe’s they have a fantastic chicken andouille sausage that I love and highly recommend. I loved this! I added peas and some shrimp on one of my leftover portions and it was like cajun paella!! Delicious!! My family RAVED over this dish! The only thing I did differently was fry up the sausage before so it had a bit of crisp to it. After iBook out the sausage, I sautéed the veggies and garlic in the sausage drippings and a bit of oil. Yum! I made this tonight and it was a hit with the entire family! Delicious!! Made this this evening for New Year’s Eve and it was fantastic! Will probably cut back on the spice next time I make cause I’m a wimp when it comes to heat!. But otherwise it was great! I am so happy you enjoyed, Lynda! I hope it wasn’t too spicy for ya. Happy New Year! Happy Holidays to you! So happy you and your family are enjoying the recipes! Made this tonight and everyone LOVED it!!! I am from Louisiana and it hit all the right spots with flavors and spices!! 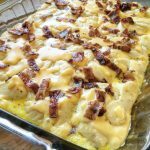 Thank you for posting this delicious recipe! Still need to find a good rice. For some reason wthe website would not let me rate this recipe but I give it 5 Stars!!! What brand of rice do you use? I haven’t had the best of luck with my rice lately. Hi Martha! Honestly, I can’t remember. I buy it in bulk and keep it in a big jar in my pantry. I’m so sorry! I don’t think it was anything too fancy though. I will take a look next time I’m at the grocery store and get back to ya! Made this last night. Soooo good. Have you ever doubled this recipe to serve at a party? I have doubled the recipe…. just so Eric wouldn’t eat the entire thing and I could have some leftovers. HAHA! It works great. So happy you enjoyed! Thank you so muc for this recipe. It is so delicious. This is the second recipe of yours I️ have tried and I️ am so pleased! Having the smartpoints listed is very helpful. Thank you! How many oz of chicken would you say you used? Made this tonight and it was wonderful! I left the chicken out because I was too impatient to wait for it to thaw. I think I may have gone overboard on the liberty to add more seasoning and it’s a bit salty, but I’m still eating every bite! I made this last night and it is one of my favorites from you! Thank you!! I made this tonight and it was delicious!! So simple and so good. Thanks for the great recipe! If cooking with brown rice, will the cooking time be longer? Thanks!!! People who have used brown rice in my other “chicken n’ rice” recipes have said that they did need to cook it an extra 10ish minutes. I would check the rice after an hour and see if it’s cooked and cook longer if it still has a “bite” to it. This recipe was absolutely delicious!!! I was wondering if it will freeze well. It should freeze well! I would let it thaw after being in the freezer before reheating. =) I am so happy you enjoyed! I just found your Blog, and I am sooooo excited to try out your recipes!!!! I made this tonight and I LOVE the flavors! My rice came out pretty mushy 🙁 but I’m thinking maybe I cooked it to long. Other than that LOVE LOVE! I am making your Italian Beef for tomorrow (already in crockpot) and I can’t wait! I am so happy you enjoyed this! Maybe it did cook just a bit too long? It should be cooked, but not a mushy consistency. Sometimes rice can be just a real jerk too. I love it so much though! I hope you enjoy the Italian Beef!! I’m happy to hear it still came out using Instant rice!! Thank you for letting me know and I’m glad you enjoyed! I love all of the recipes that I have tried from your collection, but this one is probably my favorite!! The flavors are on point. Thanks for another great one Star!! Yay! Currently this is probably my favorite too! This was EXCELLENT!! I think I might even try adding some shrimp in the last ten minutes. Thanks so much for the recipe! I made this and it is AMAZING!!! I used Trader Joe’s chicken andouille sausage, instead of the turkey sausage. I meal prepped this for the whole week and it heats up very well. Thanks for the delicious recipe and will keep looking for good ones!! Whoohoo! So happy you enjoyed. I must try with some of that Trader Joes Chicken Andouille soon! Star! Oh how grateful I am for your recipes and that I found your blog early on in my Weight Watchers journey (which has been over a year now). Your recipes keep me energized to stay on track..because it can be hard at times! This recipe is DELICIOUS. 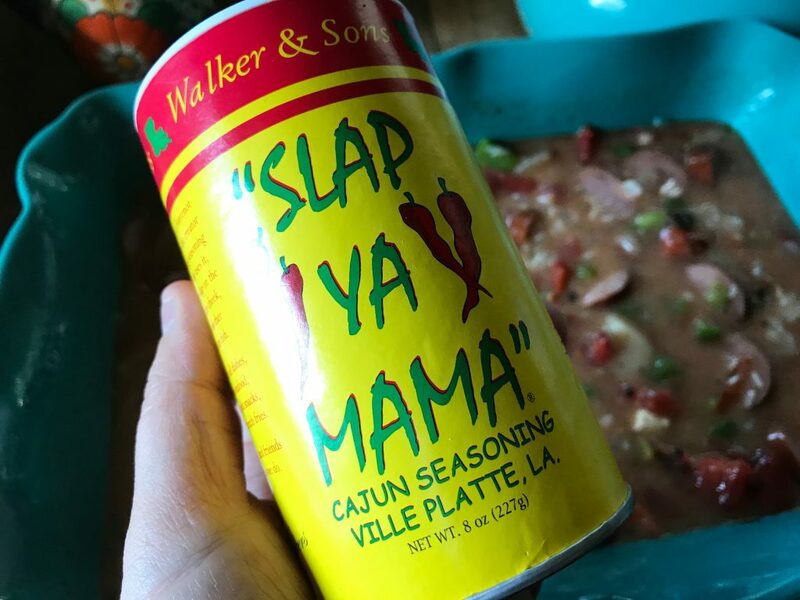 And let me just say, I am a cajun from south Louisiana and I’m sooo glad (proud) you have Slap Ya Mama seasoning and that you know the holy trinity of cajun cooking! 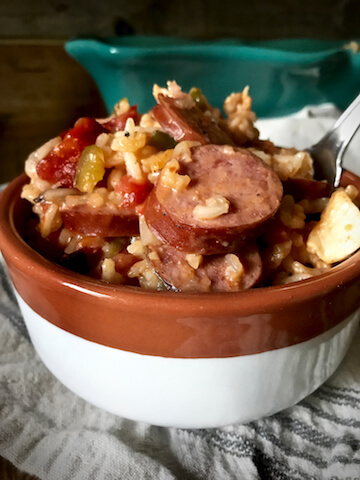 I made just 2 minor modifications–used Trader Joe’s chicken andouille sausage (gave an extra kick, so be aware if you ever use it) and I only had Tony Chachere’s (another great Louisiana seasoning). 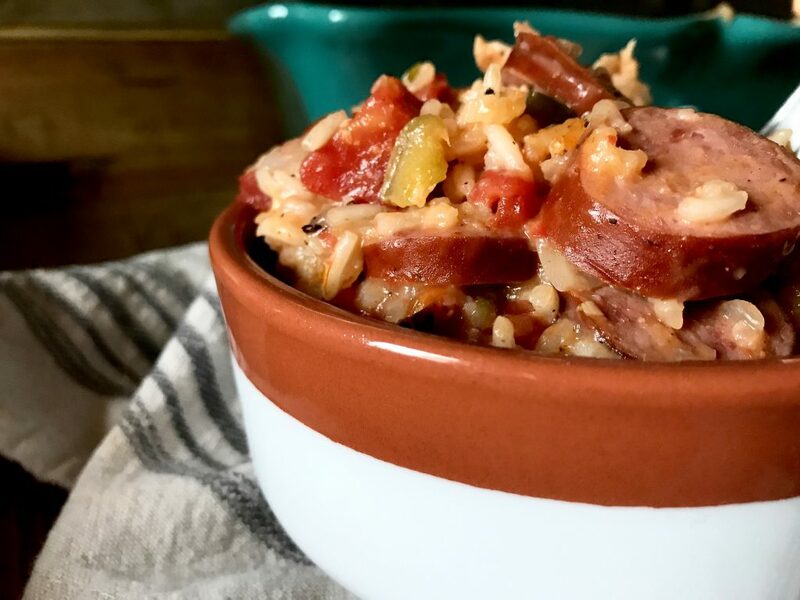 Deeming this lightened up jambalaya! Thank you thank you! Keep doing the amazing work you do! Thank you so much for ALL the kind words! You’re so sweet. 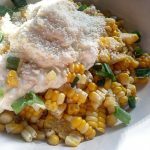 I spent a little time in Lousiana about 9 years ago and I fell in LOVE with all the flavor that the food had to offer. I quickly researched a few different things after our trip so that I was able to possibly recreate some things at home! I must try it with that TJ’s sausage! We don’t live near a TJ’s, but it’s officially on the list for the next time I make a trip to one and I’ll have to see if I can find that other cajun seasoning too! Thank you again for stopping by to rate and review the recipe! It means a lot. I can’t wait to try this recipe! Do you think I could add lentils? This recipe is absolutely delicious! I made it on Saturday, had it as leftovers for lunch on Sunday and today. It is just perfect and wonderful. Thanks for making and sharing this recipe!!! Awe shucks! What compliments. Thanks so much for stopping by, giving feedback, and rating it! I am SO happy you enjoyed!!! I’m not really a fan of cream of chicken soup. Is there a good substitute or would it taste ok without it? 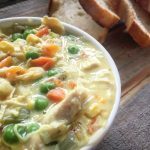 The casserole has a touch of creaminess using the cream of chicken soup which I love! You could for sure try it without and I think it would be still be pretty delish. You could also mix in some cheddar! Let me know how it goes! Do you think you could add red beans to this and it be okay? I’m excited to try! I think it should be perfect! Made this tonight and it was DELICIOUS!! My husband loved it too. Bravo!! 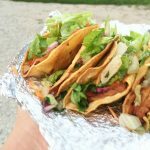 Love your recipes (and so do my 3 kiddos and hubby)–THANK YOU! 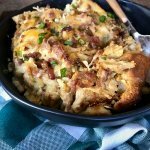 Do you think this could be a good slow cooker recipe? I’m thinking it would work, but wanted to see what your thoughts are. Thanks! I think it should work just fine! I haven’t tried it out, so I can’t say for sure! I will try to get it in the slow cooker and see how it goes asap. Let me know if you try it! I hope you enjoy! I made this tonight and for lunches this week. It was AMAZING!!!! Thank you!!! Is this too spicy for toddlers? And is the celery salt absolutely essential? I never use it for cooking and wouldn’t want to purchase it to use only a tsp if it’s not going to make a difference. Any recommendations for substitutes? It’s not completely essential. 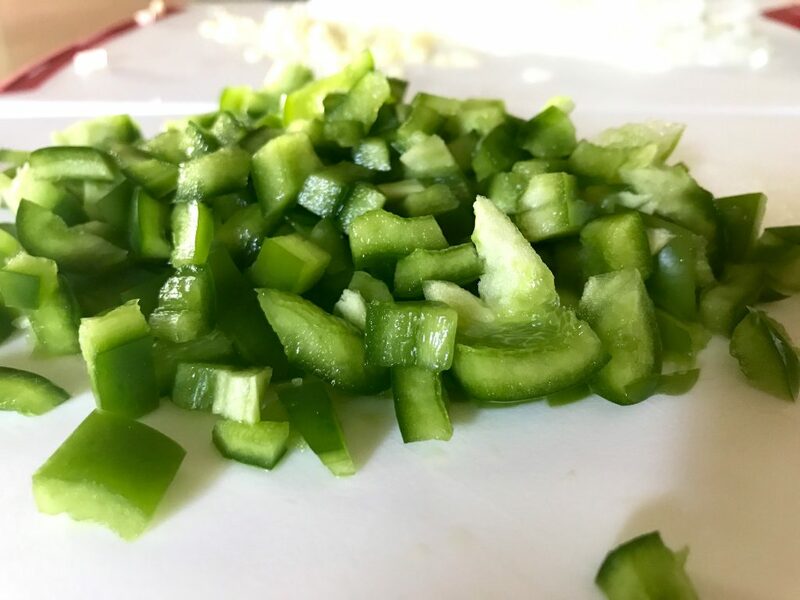 While working on this recipe I wanted to use the “holy trinity” in cajun cooking which is celery, green peppers, and onions. 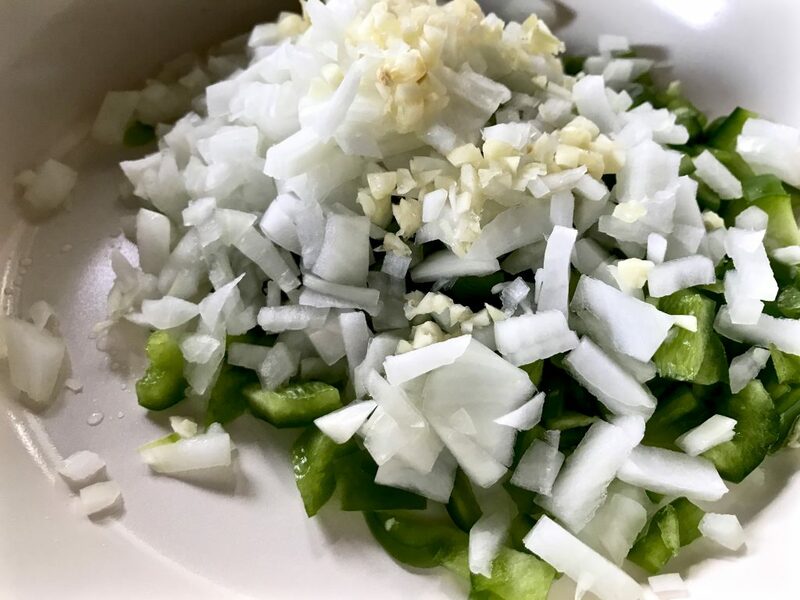 However, celery uses up so much liquid while cooking I couldn’t get it to cook correctly with the rice so really it’s just to provide the slightest celery flavor to the mix. I don’t think it would lose any flavor without it! Hope that helps, Enjoy!! I would have to say that yes it’s probably too spicy for the average toddler. I didn’t even let Pepper have any because of the spice. I knew she’d look at me like, “why did you give this to me, Mama! !” It really depends on your cajun seasoning with how spicy it actually is. My cajun seasoning is pretty spicy. You could try to use a little less and see how that goes though. Is this too spicy for toddlers? Dang girl…I can’t wait to make this. Do you think I could cut this recipe in half? Its always hard cooking just for 1 person and I hate to throw out food! I think it should work just fine. I hope you enjoy! 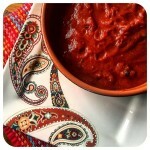 I have been checking daily for this recipe Sooooo excited! Yay! I hope you enjoy it. Let me know how it goes! I couldn’t wait for you to post this one and I was not disappointed. It was perfection. I love your recipes. ♥️ Thank you. It’s getting chilly out and this recipe looks AWESOME! Your recipes really make me feel like I am just eating amazing food without feeling like I am in the middle of a lifestyle change. You have made it so much easier. Thanks! This sounds amazing. I will be trying tomorrow and my husband will be so happy. I just discovered your blog and am loving it. Thanks for the yummy but lightened up recipes. The fact you include the WW Smart Points is a bonus .